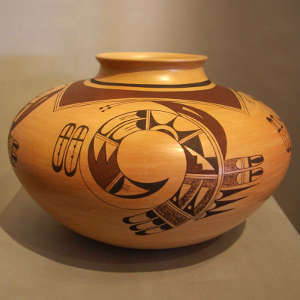 Dawn Navasie (Polaquimana - Red Tailed Hawk) was born into the Hopi-Tewa Water Clan at Sichomovi on Hopi First Mesa in 1961. 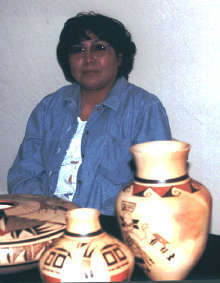 She began working with clay early in life, learning from her mother Eunice "Fawn" Navasie, her grandmother Agnes Navasie, and her aunt, Joy "2nd Frogwoman" Navasie. 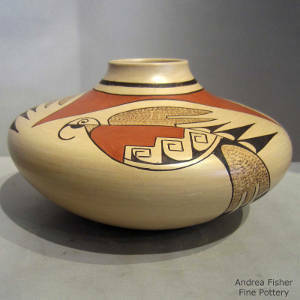 She began producing pottery for the marketplace in 1978. She usually prefers to make larger pieces that give her enough room to paint her favorite designs: weather symbols, rain clouds, moths, mythical rainbirds and elements of the Earth. 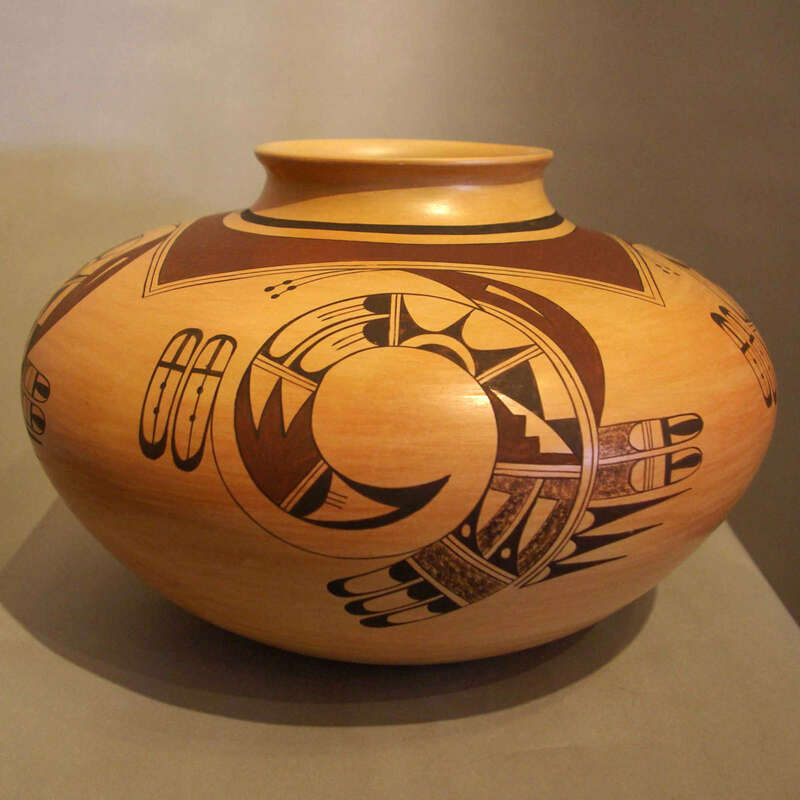 Dawn works with her husband, Donald Mahkewa, Jr., who helps her gather and process the clay and form and polish the pots. Dawn does all the painting herself and they fire the pots together. Dolly Joe "White Swann" Navasie is her sister. Dawn signs her pottery Dawn Navasie, followed by a water symbol denoting her clan.